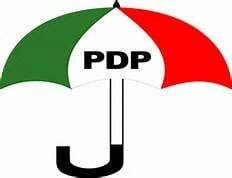 Moshood Salvador has emerged as the chairman of the Lagos chapter of the Peoples Democratic Party (PDP). Salvador and other newly elected members were selected through a consensus arrangement. Other newly elected officials of the party are: Hassan Waliu (deputy state chairman), Muiz Dosunmu (secretary), Kunle Okunola (organising secretary), Niyi Adams (youth leader), Shola Oladehinbo (woman leader) and Barr. Taofik Gani (publicity secretary). However, Segun Adewale, a former factional Chairman of the chapter, thinks the process was neither free nor fair. According to him, the position of the chairman was unilaterally decided by one leader. “I and the House of Representative members were against it, but for peace to reign, we allowed them to have their way as usual. “I don’t see how election can be won by selecting who and who get positions on the basis of who is your leader, without considering your ability, electoral value, education, managerial expertise. “Positions were shared based on sentiments and loyalty. “Real congress will bring an end to political hegemony and a paradigm shift in the political narratives of Lagos State because vibrant, young, grassroots leaders will emerge through credible congress,’’ Adewale said.